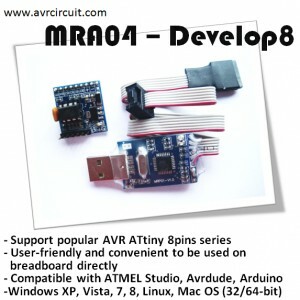 MRA04 - Develop8﻿ is a complete, lowest cost, easy interfacing, high performance and user friendly﻿ development set for small size 8 Pin Atmel AVR. 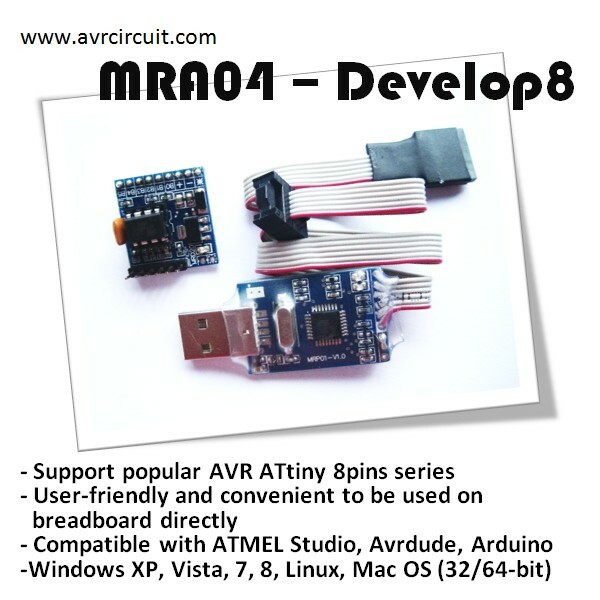 MRA04 - Develop8﻿ is a complete development set for small size 8 Pins Atmel AVR. 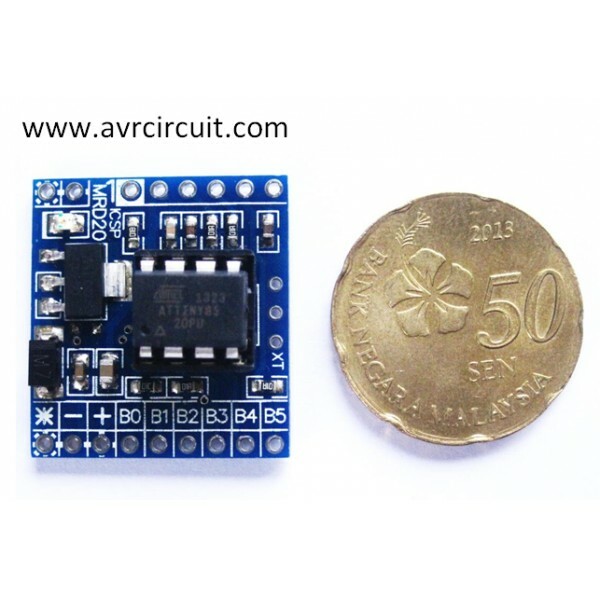 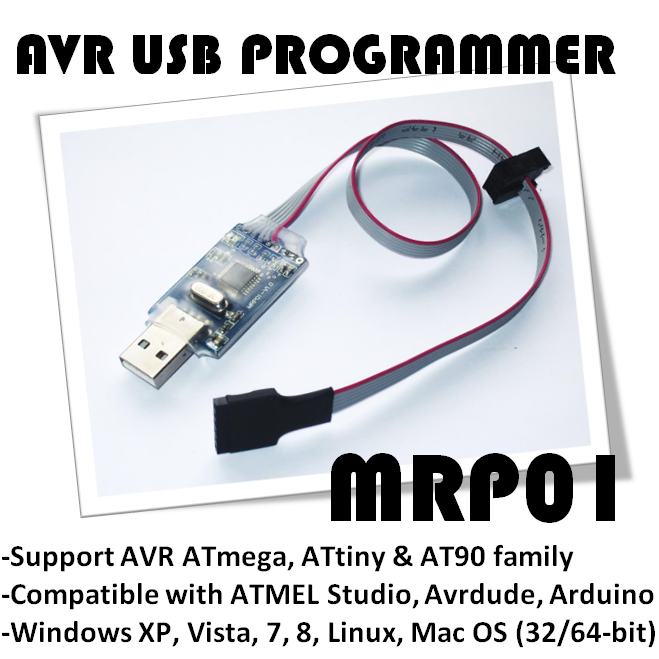 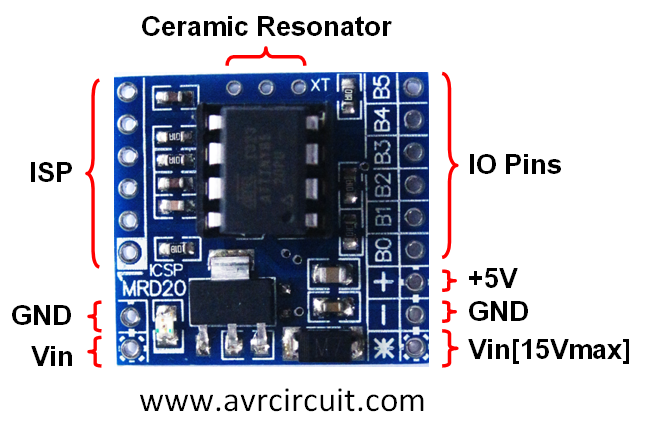 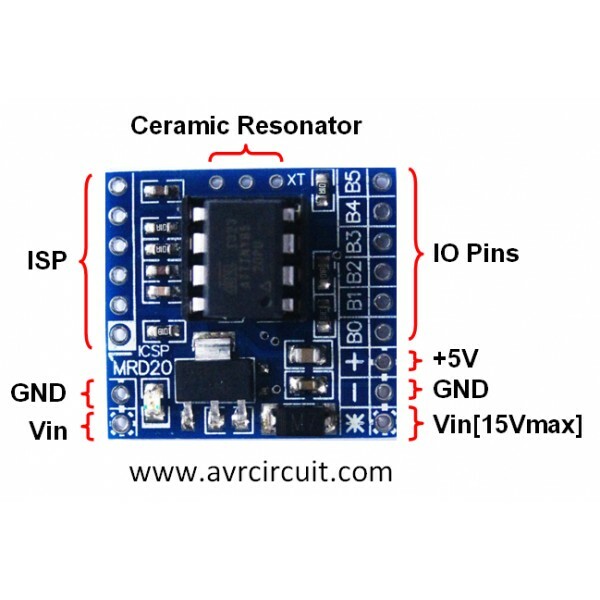 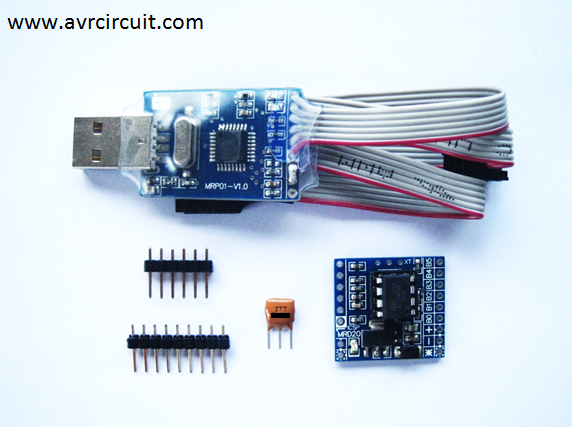 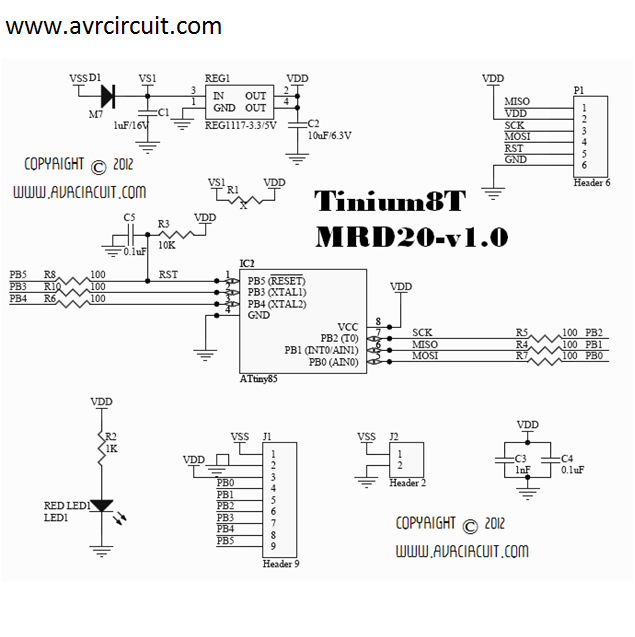 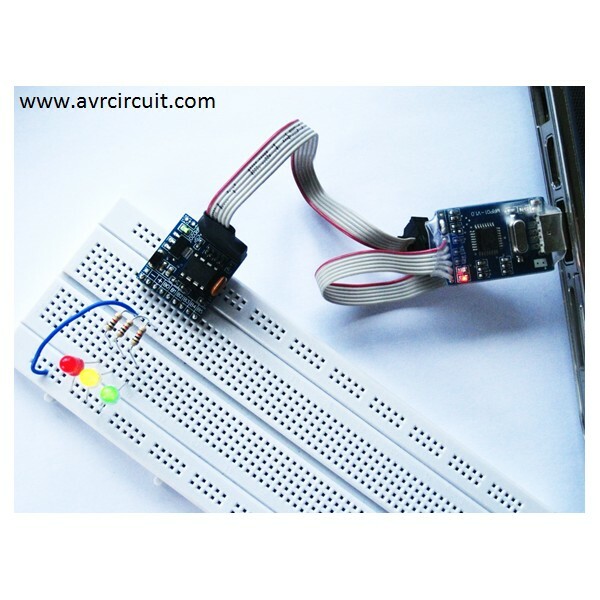 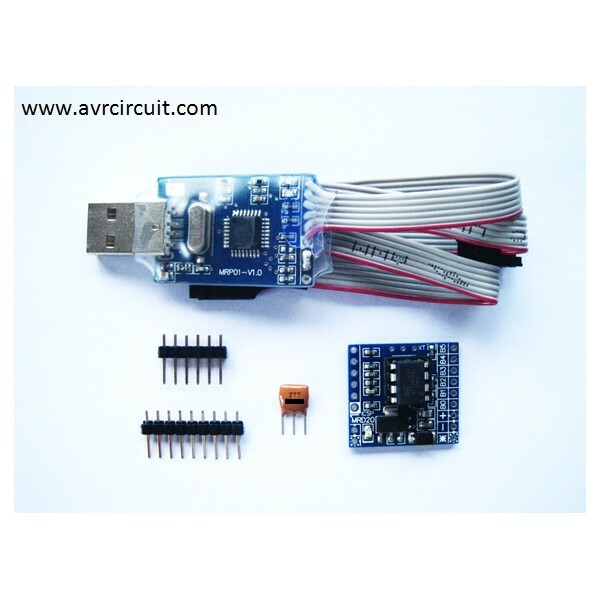 Combining MRP01 AVR USB programmer and MRD20 Tinium8T, user can work out the source code in famous AVR IDE, such as Atmel Studio, Arduino and etc and upload it into a 8 Pins AVR IO Board. With outstanding user-friendly design of Tinium8T, user could easily place Tinium8T on breadboard and interface with other modules or sensors.